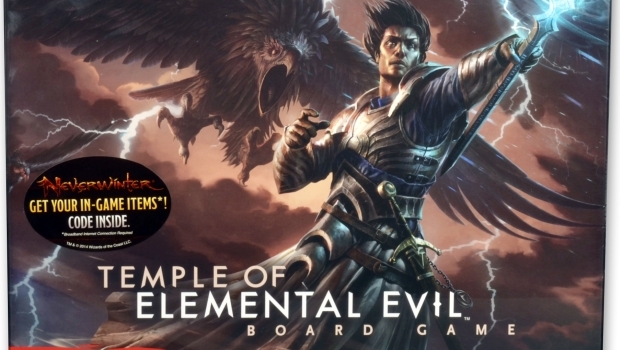 WizKids, makers of quality board games and miniatures, is pleased to announce the release of the latest title in the D&D product series – the Temple of Elemental Evil board game. In the Temple of Elemental Evil board game, you and your friends play as heroic adventurers. Using your amazing abilities, spells and magic weapons, you must explore the dungeons beneath the mysterious and dangerous Sword Coast, where you will fight monsters, overcome hazards and find treasure. Grab a copy of Temple of Elemental Evil and get ready for the tabletop adventure of a lifetime. The Temple of Elemental Evil board game features multiple scenarios, challenging quests and cooperative game play designed for 1-5 players. Play can occur in stand-alone sessions between friends, but the 13 adventures can also be played sequentially in a campaign. The contents can also be combined with other D&D Adventure System Cooperative Play board games providing endless replay opportunities. These games can be played solo as well, and it’s a great way to play adventure games without needed a game master or hours of prep time. It’s not as complex as Descent either, so everyone can jump into the action right away. If you were a fan of the previous games, be sure to look for The Temple of Elemental Evil.